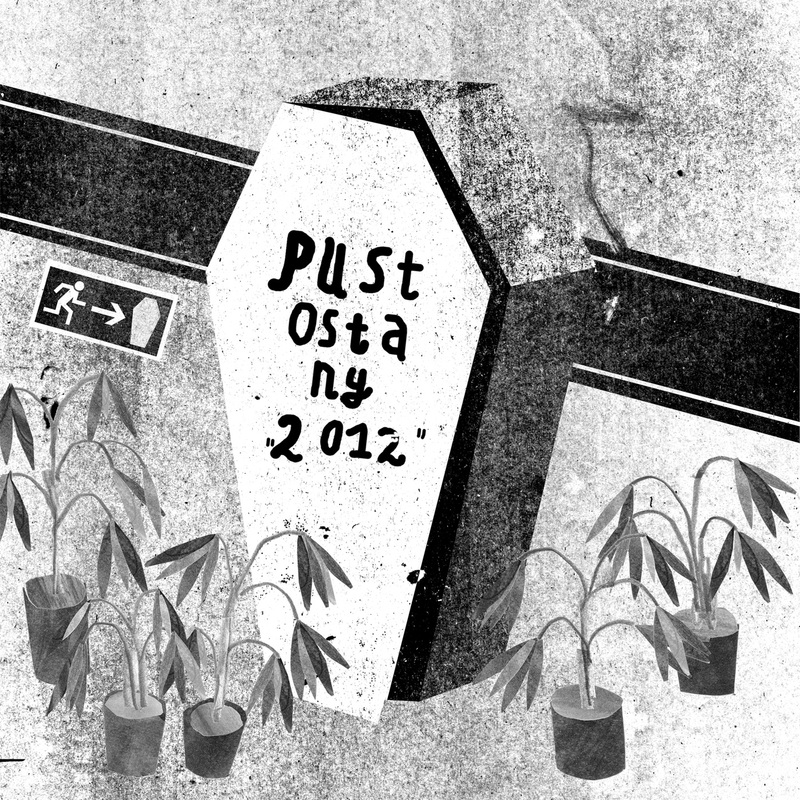 Sweet Rot Records » PUSTOSTANY “2012″ LP – out now! Pustostany was a one-off side project from Wroclaw, Poland’s post-punk/no-wave band Kurws and vocalist Maciek Salamon (Nagrobki, Gowno). The 8 songs on “2012″ have lurked in the deep dark annals of the internet for a while and turned a few heads in the process including those of the misanthropes at Sweet Rot and France’s POUeT! Schallplatten who have teamed up to release this beast on vinyl. Probably the most loud and punishing and dare I say “punk” release on Sweet Rot even though there are massive amounts of harsh electronics to be found. For fans of Teledetente, SIDA, Dow Jones and the Industrials, etc. Download code included. All European orders please contact POUeT! Schallplatten.